Postdocs at Argonne perform world-class research that seeks to address the grand challenges of energy, the environment, technology and national security. One striking revelation to anyone who visits or is new to the laboratory is just how diverse, skilled and comprehensive our research efforts are. As a laboratory of scientific excellence we have postdoctoral scientists, engineers and researchers from every discipline and reach of the science, technology, engineering and mathematics (STEM) fields across four laboratory directorates and 14 research divisions. In this issue, postdocs from the Mathematics and Computer Science Division (MCS) and the Argonne Leadership Computing Facility (ALCF) talk about their work solving problems through computational science. Research in MCS addresses extreme computing, data-intensive science, applied mathematics and science and engineering applications. The ALCF is one of Argonne’s five user facilities and one of two Department of Energy leadership computing facilities. Postdocs at the ALCF tackle grand challenges such as renewable energy, the origins of the universe, materials science and global climate change. Wesley Bland (MCS) arrived at Argonne in April of 2013. He completed his masters of science and his Ph.D. in computer science from the University of Tennessee in Knoxville. At Argonne he works with Computer Scientist Pavan Balaji (MCS) in the Programming Models and Runtime Systems group along with four other postdocs, a full-time software developer and many graduate students. Bland is researching ways to add fault tolerance to High Performance Computing (HPC) applications. As applications run on more powerful supercomputers than ever before, such as Argonne’s Mira, a 10-petaflop IBM Blue Gene/Q system, the number of times that a component of the machine could fail significantly increases. For example, if a researcher is using all of the computing resources of a powerful supercomputer at once for a project task that is estimated to take a day, it is highly likely that during that project task a component will fail and the task will crash the system. Bland works to develop specialized techniques to allow both the applications themselves and the supporting software that they use to recover from these critical failures and continue running without having to start over again or restore from a backup. Bland’s research is intimately part of the U.S. Department of Energy’s (DOE) stated mission. Research cannot continue if our tools, such as HPCs, are crashing. The challenge of resilience for HPCs has been recognized at a high level in the DOE. “As research moves toward the next milestone in computing, known as Exa-scale, resilience is one of the problems that must be solved to allow meaningful science to take place,” notes Bland. Bland’s behind the scenes development runs some of the largest simulations ever completed and everything in between. His fault tolerance code is advancing physics, nuclear engineering, biology, cancer research and climate studies. “We help astrophysicists study supernovae, nuclear engineers safely design the next generation of reactors, and climate scientists model the Earth for the next 80 years,” says Bland. He is motivated by a desire to solve some of the world’s most challenging problems and is improving research in a wide variety of disciplines and fields. Bland decided on Argonne for his postdoctoral research because of the wide range of available resources, diversity of researchers and quality of programs at a world class national laboratory. His advice for his fellow researchers is to attend conferences, job fairs and science days. He feels being at these events and speaking with fellow researchers is the best way to discover more about a chosen field. By expanding one’s base and making connections postdocs can find appointments and internships in the future. “It can also give you an idea of the kinds of problems that others are trying to solve right now so you can have better direction for your own research,” says Bland. Oana Marin (MCS) earned her Ph.D. from the KTH Royal Institute of Technology in Sweden. 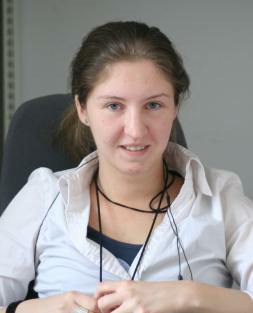 Her research focuses on applied mathematics and numerical analysis. Specifically, her work is developing and studying numerical methods for Partial Differential Equations, which are geared towards solving fluid-flow phenomena as well as combustion and heat transfer processes. Marin’s current project involves developing a new solver for simulating boiling water. The implementation is designed such that it scales well on multiple processors since she aims to eventually simulate intricate components of Boiling Water Reactors (BWR). “Applied mathematics is heavily anchored in reality,” says Marin, “and offers the formalism for solving physics problems.” Marin has discovered that numerical analysis is the toolbox for resolving problems in the most efficient and accurate possible way. Computers are the machinery and tools that numerical analysts, such as Marin, use to operate via programming languages to obtain simulations that match the physical phenomena. In the field of numerical analysis, as the computer power increases, the researcher is able has to adapt their tools to get closer to replicating in full, the reality. Marin’s advice for her fellow postdocs is to explore every possible avenue available in research. “Surviving in science at a high level demands a lot of curiosity and energy,” notes Marin. She believes any scientific intuition needs to be tried, because with every failure one understands more and grows. 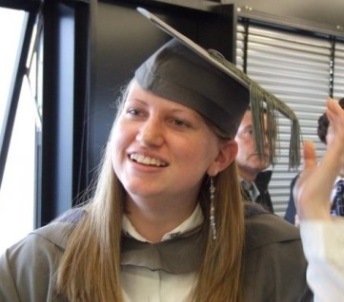 Laura Ratcliffe (ALCF) earned her Ph.D. at Imperial College London, United Kingdom. She spent two years as a postdoc at CEA (Atomic Energy and Alternative Energies Commission) in Grenoble, France. Ratcliffe’s work involves the development of software for simulating materials from first principles. She uses Density Functional Theory (DFT), an approach which is used extensively by scientists working in physics, chemistry and a range of other disciplines, actively in her research. “In particular, I’m interested in methods for large scale calculations,” says Ratcliffe. By using linear-scaling DFT as a tool she is able to simulate thousands of atoms in a large scale calculation. DFT can be applied to a wide range of systems and has already been used extensively in energy research. However, the realistic simulation of full nanoscale devices requires calculations on several thousands of atoms, which in turn requires the use of very large computer systems. “There remains a number of algorithmic and technical challenges which need to be overcome before DFT can be routinely used at such a level,” says Ratcliffe. For this reason, continued development of linear-scaling DFT for massively parallel machines is vital. She envisions the role of first-principles simulations as a solution in helping to solve the world’s energy problems. “When I tell people I’m a physicist they usually assume I’m working in a lab performing experiments,” says Ratcliffe. Many individuals do not realize the vital role computational science plays across a spectrum of scientific fields of research. Ratcliffe enjoys learning new things and finding solutions to puzzles. This is what motivates her in seeking solutions to the grand challenges of science. Ratcliff became aware of Argonne while working at CEA. She was attracted to the idea of working in the Argonne Leadership Computing Facility. She wanted to improve her knowledge and skills in massively parallel computing at one of the world’s biggest supercomputers guided by leading experts in the field. Ratcliff advises researchers to seek out an area of research that they are passionate about and to find other researchers who are supportive and encouraging. Debojyoti Ghosh (MCS) received his Ph.D. from the University of Maryland, College Park in Applied Mathematics, Statistics and Scientific Computation. His research focuses on developing higher-order, scalable numerical methods for hyperbolic partial differential equations, in particular those governing compressible fluid dynamics. 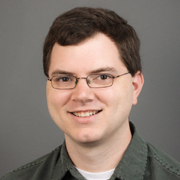 He began his postdoctoral research at Argonne in February 2013 as part of the Laboratory for Advanced Numerical Simulations (LANS), where scientists and postdocs work on algorithm design as well as development of software tools and their applications to challenging problems. Ghosh is developing and applying high-resolution methods for turbulent flows, compressible turbulent flows and atmospheric flows. “In particular, I am working with a new class of non-linear, compact finite-difference schemes that accurately capture small length scales in the solution,” says Ghosh. Ghosh’s research is funded under the U.S. Department of Energy’s Advanced Scientific Computing Research program that encourages the development of advanced algorithms to model complex physical phenomena. This includes developing algorithms that utilize the computational power of leadership-class computing platforms. “Developing scalable and efficient high-order methods for compressible flows will allow high-resolution simulations of atmospheric processes on such platforms,” notes Ghosh. Ghosh is driven by the possibility of developing and implementing algorithms that will improve the accuracy and resolution of the current state-of-art simulations. The physics of atmospheric flows are characterized by several features — the presence of high gradients in the flows due to shock waves and shear layers, flow features of small length scales such as turbulent eddies — that make their numerical solution challenging. “An algorithm to solve for such flows must yield robust, accurate solutions under a large range of conditions,” says Ghosh. He is searching for such an algorithm in his work and decided on Argonne because it is a known world-class facility with an encouraging research atmosphere that drives collaborative research and scientific breakthroughs. 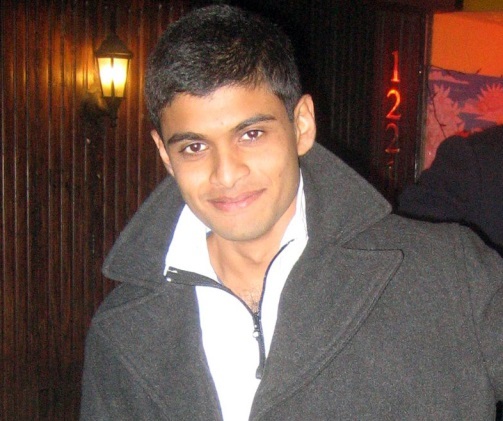 Ghosh’s advice to prospective researchers is to ensure that their academic training is well-rounded with respect to three key aspects: the physics of the broad application area, the mathematics of numerical methods, and the computer science aspects. Michel Rasquin (ALCF) received his Ph.D. in Engineering Science and Computational Fluid Dynamics (CFD) from the Université Libre de Bruxelles in Belgium (ULB) and von Karman Institute (VKI). The focus of his research is Computational Fluid Dynamics of complex and turbulent flows around realistic geometries and High Performance Computing (HPC). After completing his Ph.D. Rasquin went to the University of Colorado Boulder (UCB) to work on an INCITE project. At UCB he visited the Argonne Leadership Computing Facility (ALCF) several times to attend on campus workshops at Argonne. This exposure piqued his interest and in 2012 he became involved in the Early Science Program at the ALCF. “I was enthusiast about joining one of the largest computational research centers worldwide and pursuing my developments and research in an area of common interest,” says Rasquin. His current research is working to improve the aerodynamic performance of wing profiles in aeronautics. He is doing this using active flow control, an emerging technology known for its capacity to alter a natural flow field into a more desirable state by placing actuators at key locations in order to improve efficiency and performance. In the context of wing profiles, active flow control can prevent or reduce flow separation which is typically observed to limit flap or rudder effectiveness for high deflection angles. This research can help improve aircraft designs and increase fuel efficiency by reducing aircraft drag and weight. The U.S. Department of Energy is fully supporting this innovative use of supercomputers. By using less fuel for aircraft, carbon emissions are significantly reduced as well. Rasquin is excited about his research. As computational resources keep growing, both the variety and complexity of the problems that can now be addressed with supercomputers are increasing as well. “Enabling massively parallel numerical simulations that were considered out of reach a few years ago and addressing complex problems using cutting edge computational resources and supercomputers is highly motivating,” says Rasquin. With the current race to exascale computing, many exciting challenges need to be addressed in order to efficiently use the next generation of supercomputing machines. This opens the door for close collaborations in many different areas in physics, numerical methods and computational sciences. Rasquin recommends to prospective researchers not to hesitate to contact computational researchers and attend workshops and conferences where new collaborations can be developed. “This community is quite open, welcoming and eager to extend existing collaborations and start new ones,” says Rasquin. This entry was posted in Announcements and tagged ALCF, big data science, computers, leadership computing facility, mission possible, research, super computing. Bookmark the permalink.